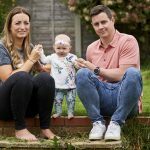 A couple desperate to become parents have spent £55k for their dream baby – after an eight year wait and two bank loans later. Joe Thorp, 49, had no choice but to try IVF when she and her partner, Tom Legg, 34, struggled to fall pregnant naturally after three years. Pic by Caters News: Joe Thorpe when she was pregnant, 10 days before Marshall arrived. And despite initially spending around £10,000 of their savings, Joe, a training manager, still wasn’t pregnant and the hopeful parents were devastated. 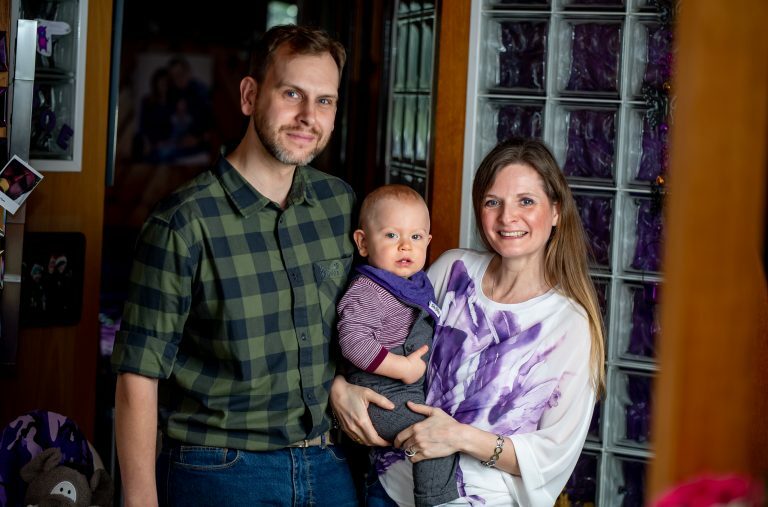 Over the next eight years, Joe took out two bank loans worth £45,000 to undergo more fertility treatment – this included a further six rounds of IVF, as well as five donor egg cycles. But nothing worked and despite two positive tests, she had two miscarriages at six weeks pregnant. The couple, who are from Surrey, began to consider adoption until they were informed about Instituto Bernabeu – a fertility clinic – in Alicante, Spain. And thankfully, after two rounds abroad, Joe fell pregnant with their son, Marshall, now 16 months old. Joe said: “I met Tom when I was 39 and he was 24, we both desperately wanted to have a family, but it was harder than we could ever imagine. “Our only hope left was IVF, we were on a mission to have a baby and wasn’t going to let anything stop us from having a family. “It became evident my own eggs were infertile as the IVF failed twice. 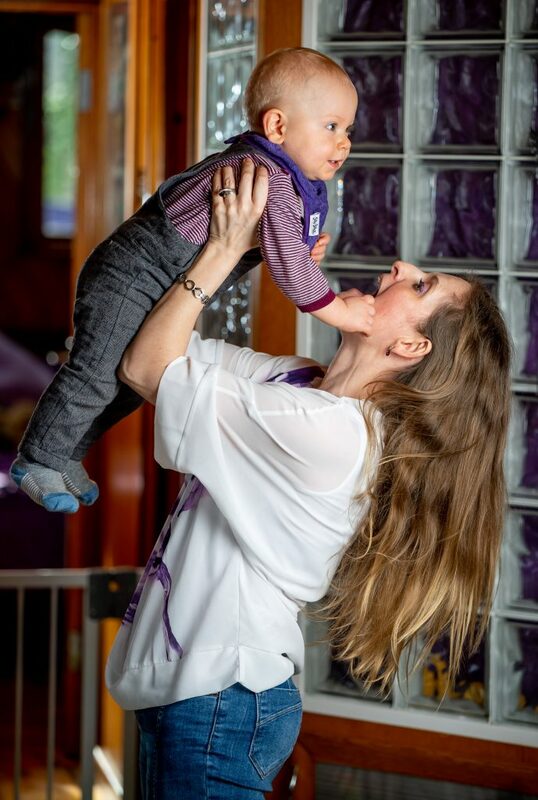 “We were considering adoption until our UK consultant suggested using an egg donor, at first, I wasn’t keen on the idea. “However, I was told two to eight per cent of the DNA would be mine as the baby is growing inside me and this made me feel a lot better to go ahead with it. “We took out two bank loans for our miracle baby Marshall worth £45,000 after spending our savings but we couldn’t be happier with our dream family. The Spanish clinic was amazing and it was their additional tests that found out that I had ‘killer cells’ which meant my immune system was overactive. The average UK price of egg donor’s IVF is £7000 plus medication, the couple spent all their savings and borrowed money from the bank. She added: “I was thrilled when the fifth round of egg donor IVF came back positive, Tom was over the moon, he has always wanted to be a dad. “But at six weeks, I miscarried, it was difficult, but we managed to stay emotionally strong and determined to keep going. 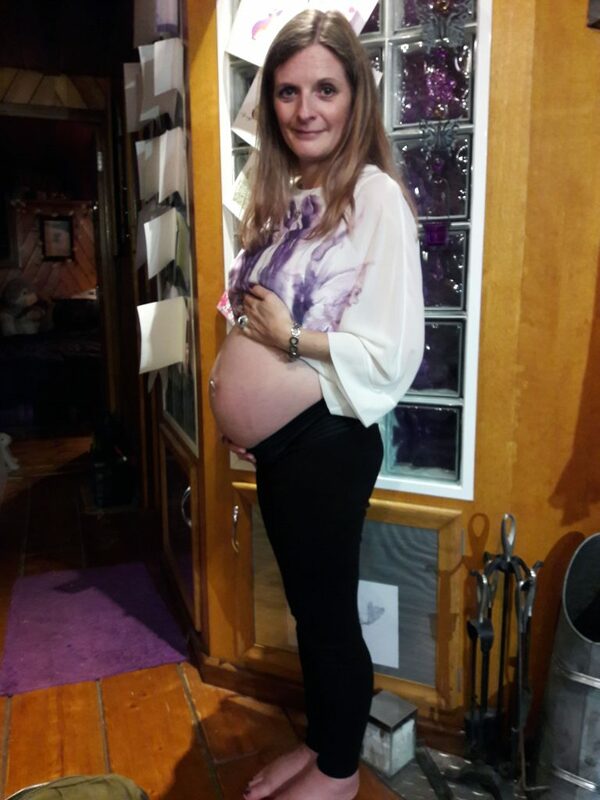 “We found a cheaper yet experienced practise in Alicante, Spain, the journey began successful as I was pregnant at the first attempt. Pic by Caters News: Joe Thorpe with her son Marshall. “Sadly, I miscarried at six weeks, but we still had two frozen eggs to use. We flew back to Spain and it was another success. “It was the best feeling in the world when the pregnancy went a week past six, and before we knew it, six months had passed. 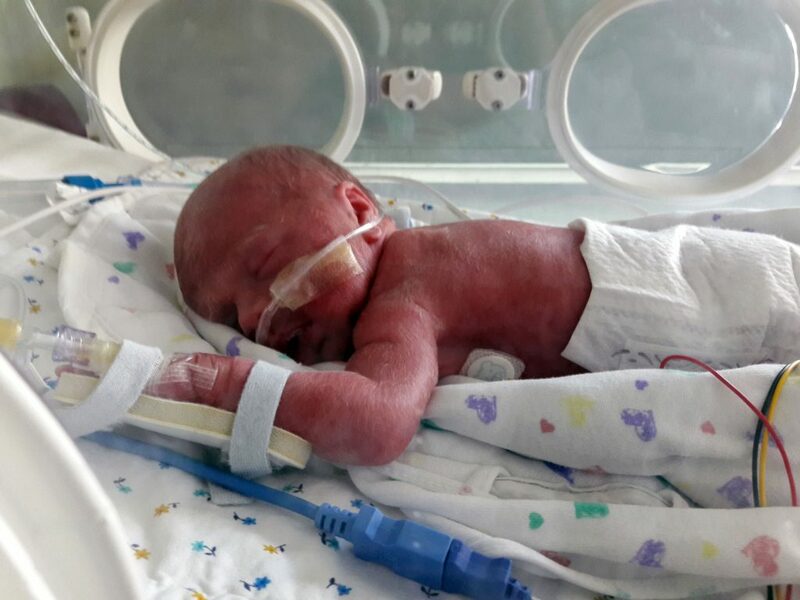 “But our little miracle arrived 11 weeks early as my placenta erupted – causing me to lose two litres of blood – as well as pre eclampsia. 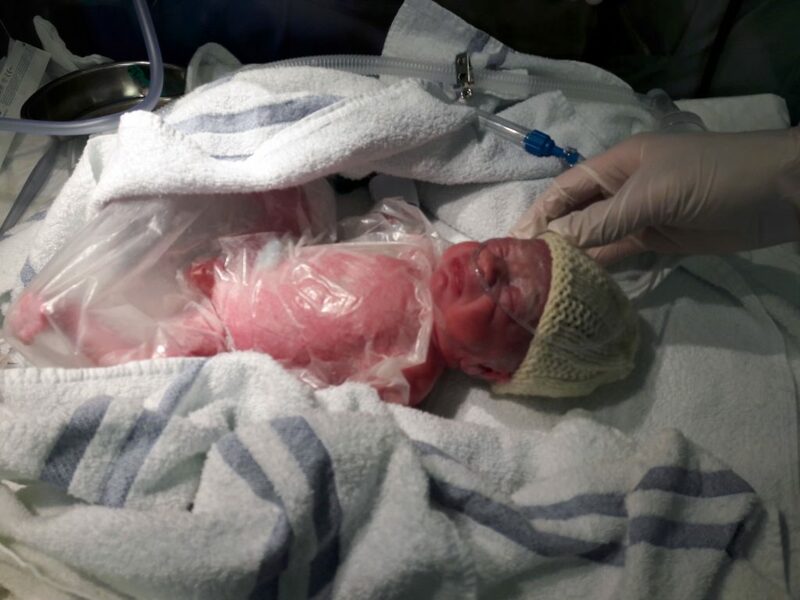 “He was put immediately into a plastic bag and was only 3 pounds and 3 oz, we spent 51 days in hospital until he was fit to come home for Christmas, a month before his due date. “He may not have my DNA but he is my biological son, I will tell him as soon as he is old enough to understand and it will never change how much we love him. The couple have since brought Marshall to Alicante to meet the fertility specialist who made it all happen. Tom adds: “I am so proud of our fertility journey, we went through a lot to make sure he is here today so it is important for him to know.